what is available and how to apply. 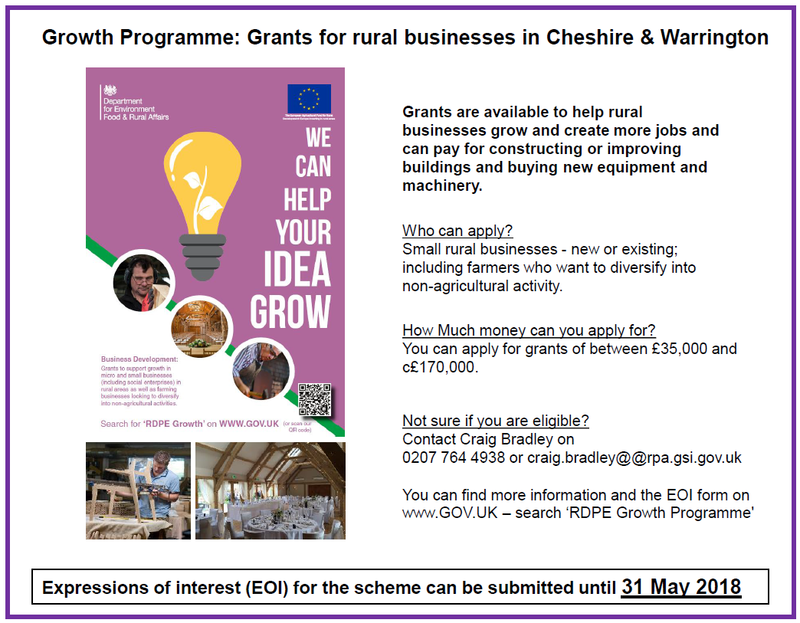 Planning a project that will grow your business, create jobs or bring more money into the rural economy? You might be able to apply for a grant to help you fund it. 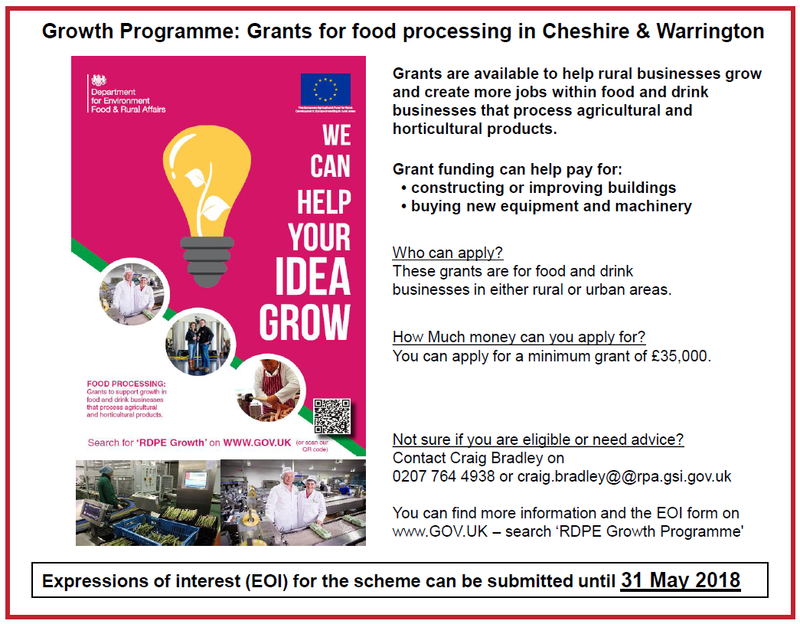 There are handbooks on the RDPE .gov web page to learn more about the grants, who qualifies and what they can cover. 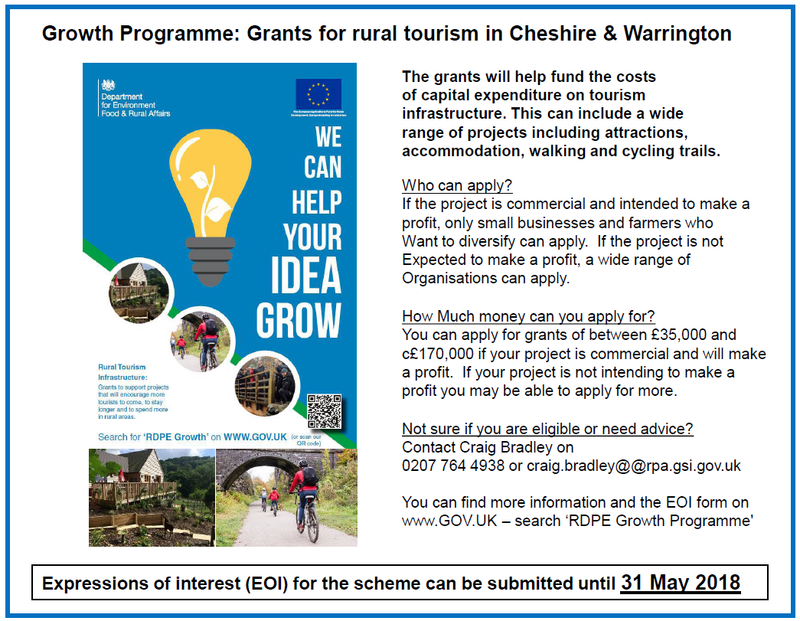 There is also a link to download an ‘expression of interest’ form, the initial stage of application for the grants. The expression of interest (EOI) deadline has been extended to the 31st May 2018. The grants are funded by the European Agricultural Fund for Rural Development (EAFRD), which is part of the European Structural and Investment Funds (ESIF). you can read the handbooks on the RDPE website which will explain what the grants are for, who is eligible and how to apply.